Invitation to Cherish the Chetco: Sept. 21st & 22nd. 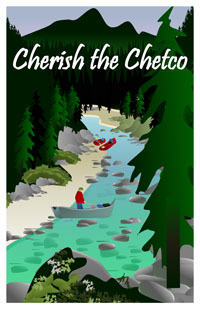 South Coast Watersheds and the U.S. Forest Service are co-sponsoring a community river event—Cherish the Chetco--to promote stewardship of the National Wild & Scenic Chetco River. Everyone is welcome. 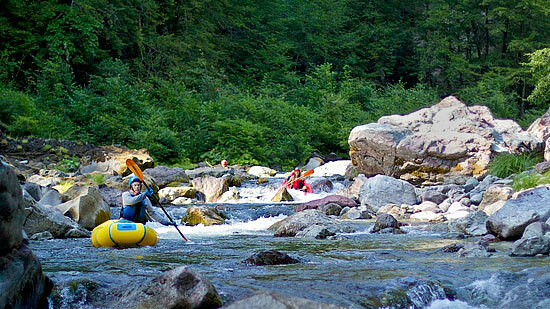 The event will kick off on Friday Sept. 21 at 7pm with “Wild Rivers Night” at Chetco Library in Brookings, featuring noted river author and photographer Tim Palmer, speaking about the Wild & Scenic Rivers system, and biologist adventurer Slade Sapora showing slides from his recent kayak trek down the Chetco. On Saturday, Sept. 22, there will be activities up river all day. This week Zach Collier and friends explored the lower gorge of the National Wild and Scenic Chetco River in inflatable kayaks. On their last trip they took out above this challenging part of the Scenic River Area. So they came back. Only this time instead of 1300 cfs (June 15, 2011), the flow was 90 cfs!